Cyrielle Doutrewe works for Wallonie Design since January 2011. She has studied Philosophy and has taken several trainings in Design Thinking, Facilitation and Prospective Analysis. Within Wallonie Design, she has set up a call for project financing SME’s and freelancers of the creative industries. In the framework of a European project, Wallonia European Creative Disctrict, she has set up another financing mechanism, the Creativity Vouchers, to encourage “traditional” SME’s to work with creatives, among them designers. 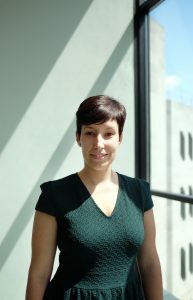 Nowadays, she has been given the task to use design thinking methods and facilitation tools to initiate a broader reflexion on Wallonie Design services, collaborating with her colleagues to develop a vision for design in Wallonia, to present a new strategy and action plan to the public authorities.